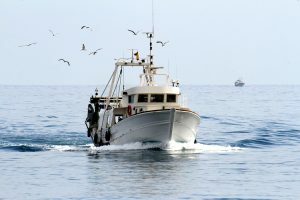 According to the National Oceanic and Atmospheric Administration, commercial and recreational fisheries in the United States generated over $200 billion in sales. 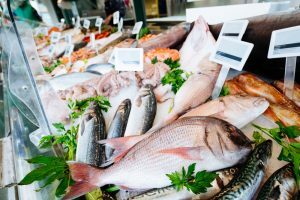 Some fisheries are taking advantage of this economic boom by marketing less desirable fish as oceanic delicacies, a process known as “seafood fraud.” Suppliers that commit seafood fraud market cheap fish, such as tilapia, as more expensive fish, such as grouper. The resulting fraudulent profit hurts everyone from individual fishermen to suppliers to consumers. According to Oceana, lack of transparency in the fishing industry also opens the door for the sale of illegally caught seafood. As many as 64 fish species can be sold in the United States with the label “grouper,” despite 20 grouper species worldwide being threatened with extinction. These misnomers also pose a health hazard as some species marketed under an umbrella name can contain high levels of contaminants such as mercury. Two University of South Florida-based colleagues designed a system to combat this ecological, economic, and human health disaster. GrouperChek is a portable touchscreen system that scans filets for DNA markers unique to grouper. Co-creators John Paul and Robert Ulrich demonstrated the effectiveness of the device by comparing scans of grouper meat and an identical-looking tilapia filet. Traditional DNA tests could take days to produce results, and at a steep cost. Results from GrouperChek are ready in about an hour and the tests cost about $30 each. The startup founded by Paul and Ulrich is developing the ShrimpChek system scheduled for release in the near future. With technology like this, we can work towards eliminating seafood fraud for good. Learn more about PureMolecular and GrouperChek in this short documentary. Materials for Oceana’s “One Name, One Fish” campaign can be accessed by clicking on this link.